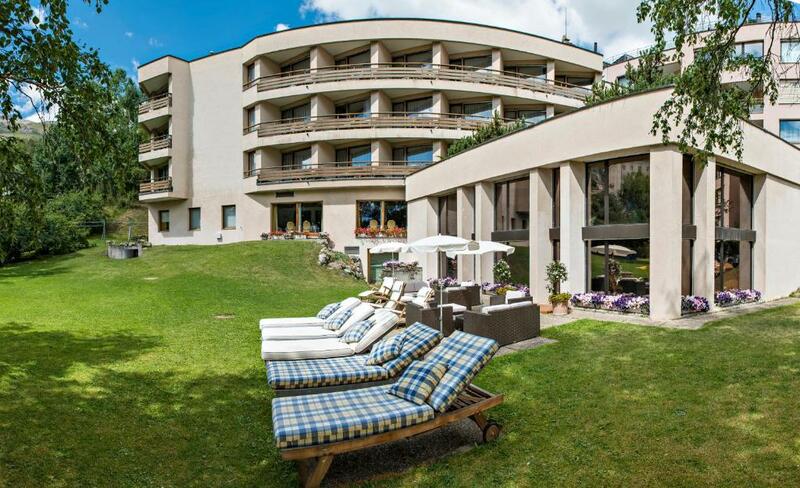 Lock in a great price for Quadratscha Alpenhotel – rated 9 by recent guests! 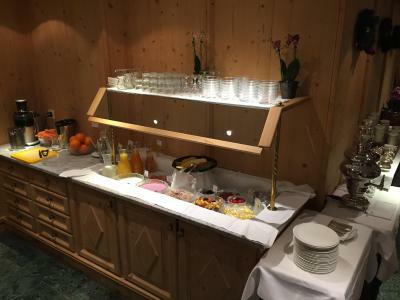 The staff was extremely friendly and helpful, with great advice for hikes and skiing. The on-demand shuttle to and from the ski station was great, especially as the ski lift parking was completely full. Room was quiet and comfortable. 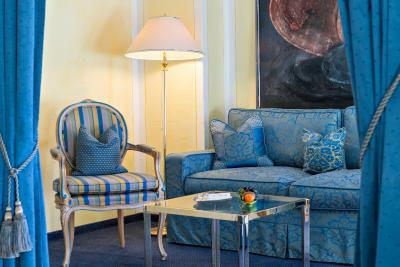 Outstanding property, service, dining, ambiance, staff, management. It doesn’t get much better. Excellent. Very friendly and efficient staff. 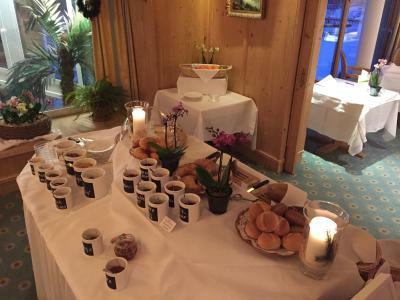 Very attentive and really showing that they care about their guests well-being. Professional but also homely and cozy. Great location. Very comfortable. Super swimming pool. Great food and half-board excellent value for money. 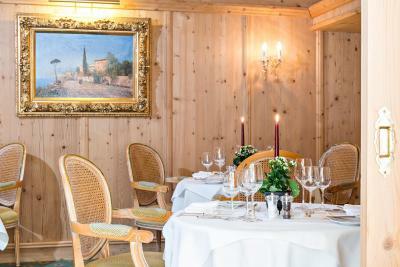 This hotel is in a perfect setting for exploring the Engadin with the train and bus lines only minutes away (walking). 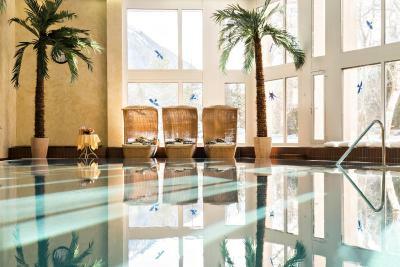 The facilities of the hotel are perfect for recouping after adventurous hikes in any direction. 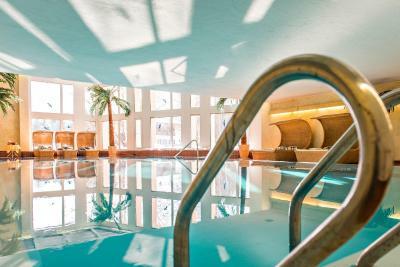 The pool is amazing as is the library for lounging in the afternoon and evening. The reception and dining room staff couldn't have been more helpful. 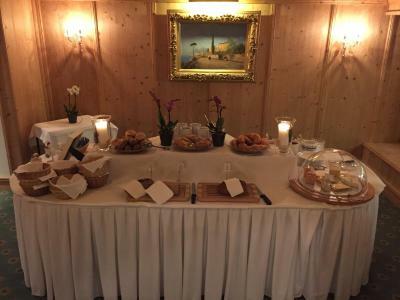 Christina Camerotta (reception) was particularly generous with her time helping us navigate the many extraordinary sites to visit in the area around Samedan. I look forward to my next visit!! Breakfast starts at 7am; as I usually get out at 6 am, the hotel provided me with a "lunch package" to take with. Excellent idea! Staff was very friendly and extremely helpful. 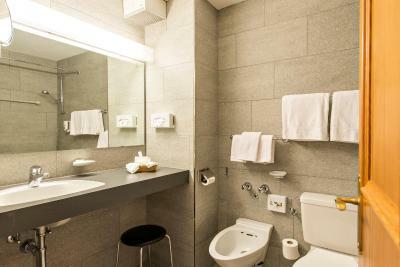 The hotel is very clean, the rooms are large and the bed is comfortable. The bathroom is smaller but this is not a problem. 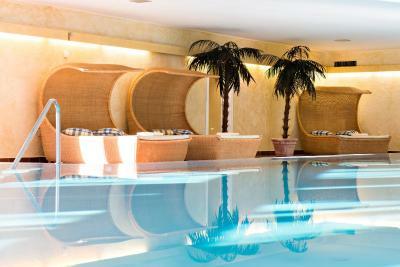 The restaurant and the spa area are great. Parking is free of charge. Internet connection is very good. There is a superb library where you can drink an extraordinary coffee (Nespresso). 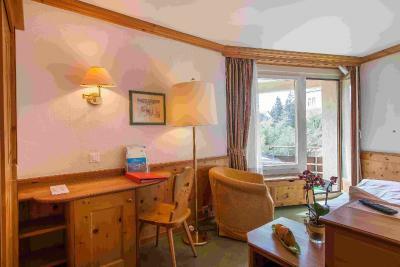 You can buy the skipass from the hotel with a 50% discount from regular price (the price is 38 CHF x number of nights of accommodation). Also, public transport during the accommodation is free of charge. I must not forget the great staff...they made our stay here memorable! The hotel was in a very convenient location near the station and with mountain views. 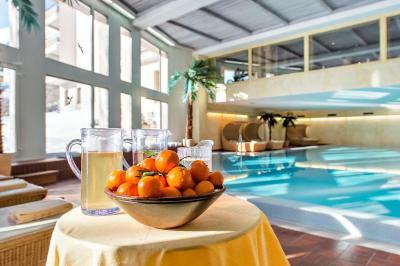 The owners have thought of every detail to make you feel at home, including a rucksack and umbrella to lend guests. The food and service was magnificent. 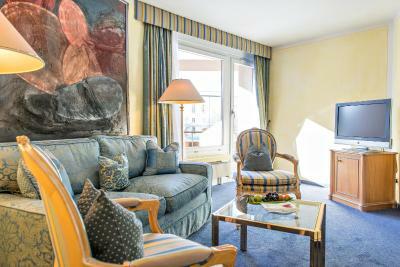 The room was very comfortably furnished and wonderfully clean. They suggest walks for the day and were extremely helpful with our queries. 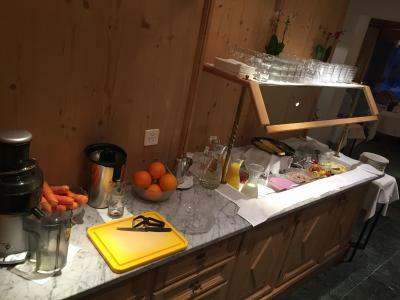 Altogether one of the best hotels we have ever stayed in and an excellent stopping off point on our self organised rail tour around Switzerland. Tout était parfait. 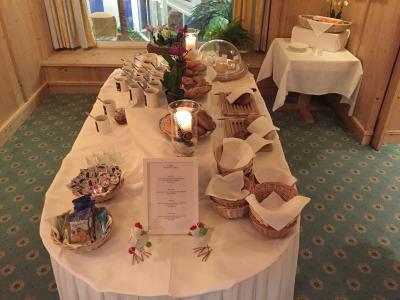 L’accueil, la chambre, l’emplacement, la propreté, les équipements, le personnel et le petit-déjeuner est un régal ! 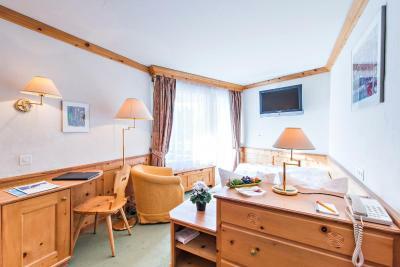 Quadratscha Alpenhotel This rating is a reflection of how the property compares to the industry standard when it comes to price, facilities and services available. It's based on a self-evaluation by the property. Use this rating to help choose your stay! 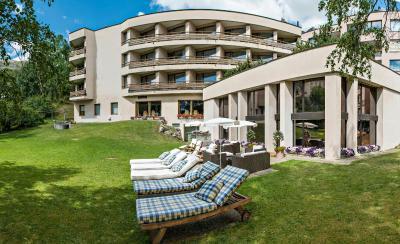 One of our top picks in Samedan.Located in a central yet quiet location in Samedan, the Quadratscha Alpenhotel is easily reachable by public transport and features a panorama pool and free internet. 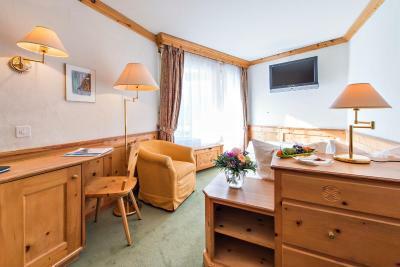 All rooms and junior suites of the Quadratscha Alpenhotel have mountain-view balconies. 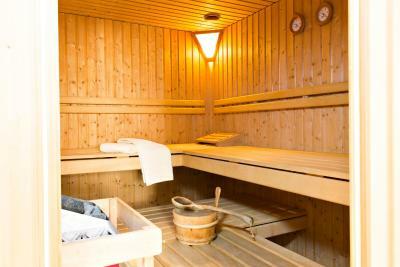 The large panorama indoor swimming pool, the sauna and the steam bath are accessible for free. 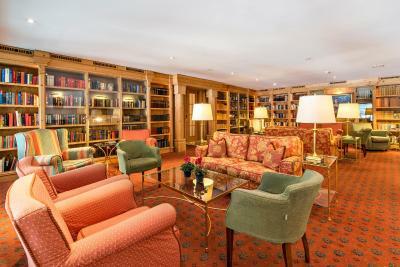 You can read a book in the library, which is also an inviting place for an evening drink. 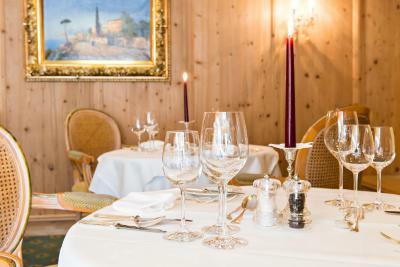 Fine Swiss cuisine and selected wines from the well-stocked cellar are served in the restaurant. 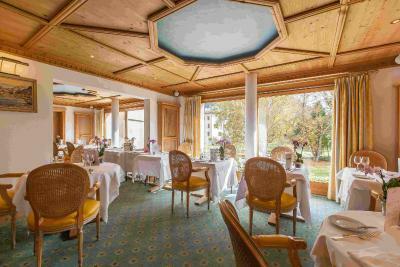 You will get a 20% reduction on green fees for the golf courses when staying in the Quadratscha Alpenhotel. 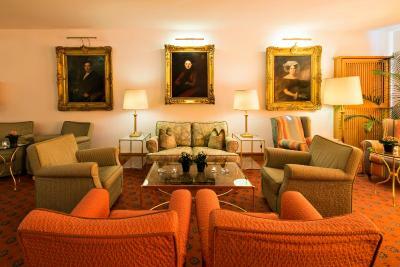 For the smokers the property offers a smoker lounge where you can enjoy a cigar and a drink in the evening. In the summertime, all guests staying longer than 2 nights may use all of the operating elevators for free. 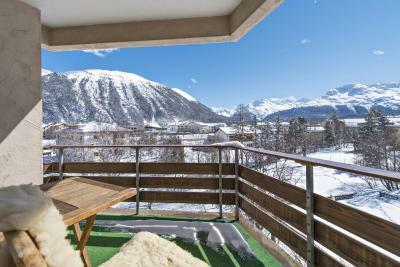 This also includes the public transport in the Upper Engadine region. In winter, guests staying longer than 2 nights benefit of free public transportation and can purchase discounted ski passes at the reception. 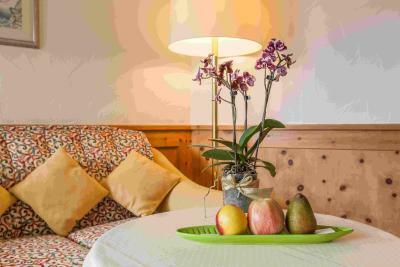 When would you like to stay at Quadratscha Alpenhotel? 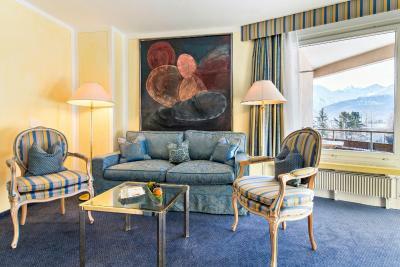 Room comfortably decorated in traditional Engadine style (stone pine). Situated on the quiet and sunny garden-side. 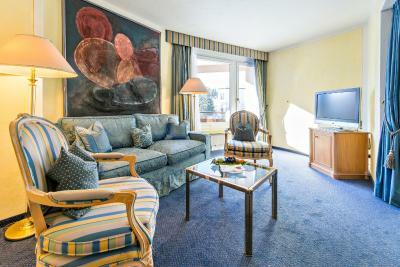 Comfortably decorated room in traditional Engadine style (stone pine). Situated on the quiet and sunny garden side. 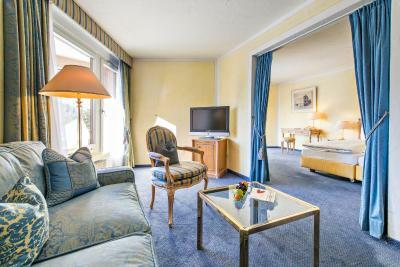 Marvelous suite in Louis XVI-style, situated on the quiet and sunny garden side. 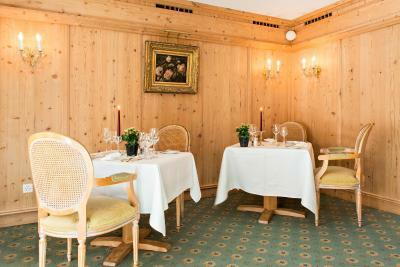 Room comfortably decorated in traditional Engadine style (stone pine). Located on the quiet and sunny side. 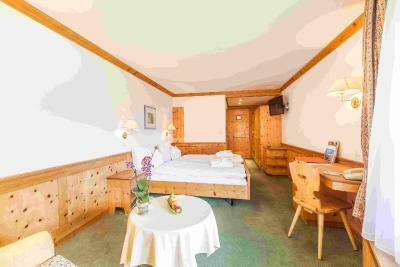 House Rules Quadratscha Alpenhotel takes special requests – add in the next step! Free! One child from 0 to 1 years stays free of charge in a crib. 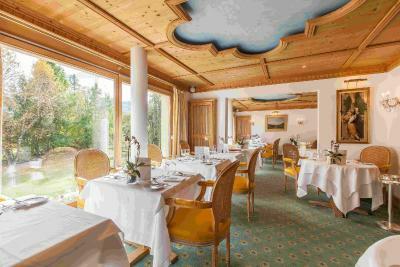 Quadratscha Alpenhotel accepts these cards and reserves the right to temporarily hold an amount prior to arrival. 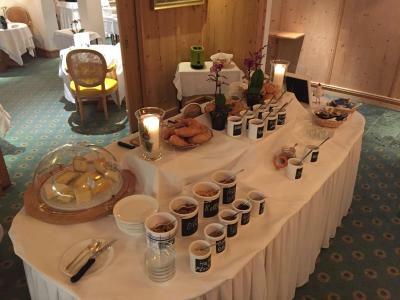 Breakfast was good but could enjoy a bit more variety, especially on the sweet side. 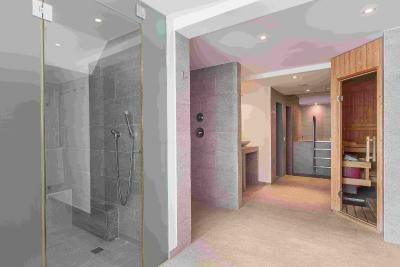 The bathroom could be refreshed a bit, especially the lighting. 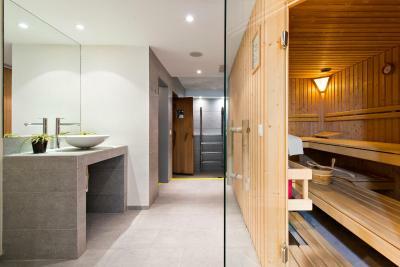 A fitness room and an electric kettle in the bedroom would be good. The restaurant had a limited menu, just a choice of one meat and one fish dish.